Searchfield Homes won Best Residential Property in Surrey at the recent International Property Awards at London’s Grosvenor House Hotel. The winner, Waverley House, is a beautifully designed six-bedroom family home located in the prestigious Moor Park estate in Farnham, Surrey. Comprising a substantial 7,500 square foot, Waverley House is set within 1.24 acres of mature landscaped gardens and has panoramic views over the Surrey Hills. Complementing Farnham’s illustrious stock of original Georgian architecture, the house has a traditional Georgian-style exterior with antique clay roof tiles, a red brick facade and timber sash windows bordered by stone heads and cills. Inside the property, the entire ground floor benefits from elegant 10 ft high ceilings with a grand entrance hall defined by a Botticino marble floor and sweeping spiral staircase. An open-plan kitchen living area opens out to the garden through an orangery, alongside formal dining and drawing rooms and a study. The kitchen cabinetry is Italian bespoke in black Macassar ebony, topped with antique Santinato granite worktops. An expansive master bedroom suite has a private terrace overlooking the garden; a 22 foot walk-in dressing room with walnut and suede wardrobes; and a luxury en-suite bathroom with bespoke vanity units, a designer bath and marble shower.Above the triple garage, there is a self-contained annex providing a further bedroom or games room, ideal for staff quarters or a den for teenagers. The house benefits from the latest in home technology and is operated by Control 4 Home Automation allowing heating, lighting and music to be controlled remotely with an iPad or Smart phone. 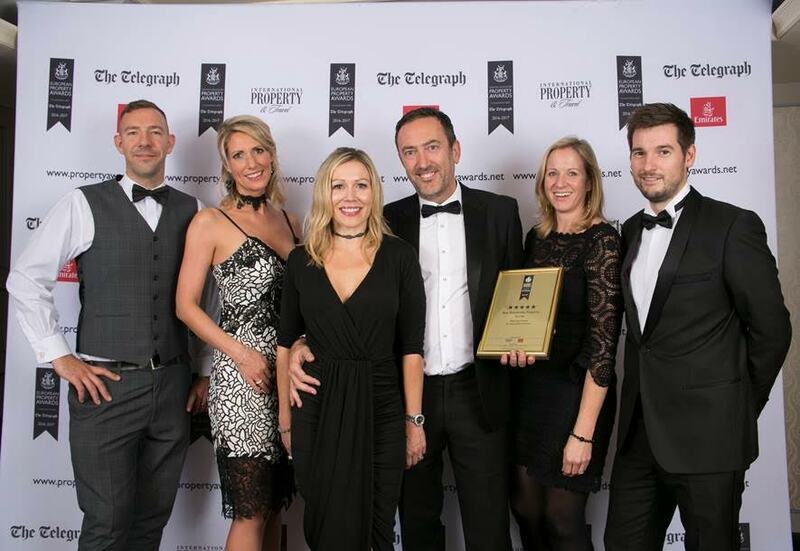 Sponsored by The Telegraph, The International Property Awards have been going since 1995 and celebrate the highest levels of achievement by companies working in property.